Again and again the power of our relationship with dogs is breathtakingly beautiful. Turning to us, the measure of a compassionate and caring society is how it looks after those who, through circumstance and bad luck, are disadvantaged. While there are many in such a situation who are the wrong side of twenty-one there’s something especially important, critically so, in reaching out to help our youngsters. So why this switch from dogs to disadvantaged young people? Brook, a Rhodesian Ridgeback mix, was sitting in a high-kill shelter in Arizona with just two days to live when she was rescued by Janice Wolfe, founder and CEO of Merlin’s KIDS. The nonprofit organization rescues, rehabilitates and trains shelter dogs to work as service dogs for children with autism and special needs, as well as to assist disabled veterans. After extensive training Brook returned Wolfe’s kindness by transforming the life of Julie, 21, who is developmentally delayed due to a premature birth. Wolfe describes Brook as a “rock star,” a calm sweet dog with the perfect temperament for working as an emotional support service dog. Julie’s mom, Ellen, couldn’t agree more. Before being paired with Brook, Julie was afraid to go outside the house on her own. Now she and Brook take walks down the block or sit together in the yard. Julie has become more outgoing and enjoys speaking or singing in front of people. Julie takes a selfie with Brook as he smothers her with kisses. Another Merlin’s KIDS graduate, Willow, was rescued from a beach in Aruba where she ran with a feral pack. She was so scared that nobody could touch her. With patience and love her foster family won her love and trust. Now after completing the training program, the 40-pound sweet-natured cunucu dog is ready to join three other Merlin’s Kids service dogs in the Animal Adaptive Therapy program at the Calais School for special needs children in New Jersey. Willow is a cortisol detection dog trained to detect stress signals in students and to alert the counseling team so that they can intervene before a problem escalates. She will also work with students to learn the social, emotional and behavioral skills they need to succeed in life. Willow and Brook are just two of the 1,300 dogs that have been rescued, rehabilitated and trained as service dogs by Wolfe, a canine behavior rehabilitation specialist and author of “SHH HAPPENS! Dog Behavior 101.” In addition to Rhodesian Ridgebacks, the nonprofit organization has rescued and rehabilitated Labrador mixes, pointer mixes and coonhound mixes to work as service dogs. The goal of the organization is to ensure that service dogs are available to families in need regardless of financial circumstances. To fulfill this mission it depends on financial donations and sponsorships. Wolfe said that Merlin’s KIDS service dogs are highly trained and highly specialized. They can do anything from keeping a special needs child from wandering away to opening doors or picking up pencils for children with disabilities to alerting before the onset of a seizure. 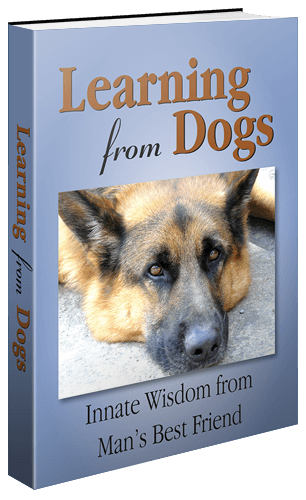 It’s important, the trainer said, to make sure that the dogs are physically capable of doing the jobs being asked of them and that they have the right temperament. When it comes to autistic children Wolfe’s dogs are trained to serve the individual child. For example, dogs are trained to help children who are overstimulated by interrupting behavior patterns, and they can prevent children from opening a door and running out into the street. Some children need deep pressure to fall asleep so Wolfe and her team train service dogs to lay across their laps at night. “We have a lot of autistic kids who had never slept in their own beds until they got a service dog,” Wolfe said. In addition to donations and sponsors, Merlin’s Kids is always in need of volunteers and foster families. This beautiful article was first seen on the Care2 site and, please, do drop across to that Merlin Kids website. I love to read stories like this where dogs have a positive effect on people. They are very therapeutic animals. When I am ill or having a bad day, Maggie is always there for me. Dogs are great at sensing things. Great share, Paul. There’s no question that dogs read us very well. That includes, as you say Susan, sensing if we are unwell or depressed. Best wishes to you! It’s so fantastic to read positive stories that have happy endings. You don’t typically hear about those all that much. This is a lovely story and really hits close to home. My youngest son was profoundly mentally retarded and stayed locked inside his and mind and body for 29 years at the mental development of a two month old baby. He loved a cat that lived at his group home and loved being around horses, the few things that gave him joy in his life. Thanks for your story. Oh dear Brenda, what a tragic account of your son yet revealing in terms of how he connected with animals. Thank you for sharing this aspect of your life and welcome to this place. Thank you so much for your kind words. I really am enjoying the exchange between all of us. Brenda, when I started this blog, nearly 8 years ago now, I had no idea that it would take on a community quality. A diverse range of individuals who share a love for dogs in particular, for animals in general, and a passion for integrity. I love your blog, it is one of my very favorites. I keep trying to draw in more followers to my two blogs without much success. Any suggestions would be greatly appreciated! I just entered my first writing contest, and it’s in Australia…so exciting. It was $10 to enter and another $10 to have the judges critique it. The winners are announced in late September. Brenda, that is so nice of you to write that. Thank you very much. In terms of finding more readers for your own writings, not sure what to say other than encouraging those who are reading you to say what they like and what they would like to read in the future. Best of luck! A smile inducing way to start the week reading this story. Thanks for sharing! What an inspiring story, dogs really are the best! They really are. The longest and most loving bond between us humans and an animal! Sue, if you ever fancy writing a guest post for this place on your experiences that would be terrific! Thank you for that kind offer dear Paul, I will keep that in the back of my mind.. But will just say Paul that my experience with Supporting Adults with learning difficulties, whose case files would turn you cold, at the abuse some had suffered as children….So not surprising they had not experienced a lot of Love in their lives.. So to be able to channel that love and get unconditional Love in return from a animal, brought both smiles, and confidences. It also gave them caring skills, Be it a cat, dog or rabbit. or even a gold fish.. :-).. Even those few words from you, Sue, draw back the curtains and throw light onto the rewards from those young persons being loved by animals. These stories are so lovely and magical. Reading this post is re-empowering me to get back to work with Callie, training for her therapy dog license so she can work with kids. Oh, please do that with Callie. To which I would add, please consider sharing that journey with everyone here. As just noted on M’s Blog, I was adopted by Ray (rescued from life as a stray by our local Humane Society, and assessed as a challenging dog for adoption) while looking for my first dog! A simple nose touch on his part literally turned my life upside down and, after a roller coaster ride of emotions during the first 18 months due to numerous medical and behavioral issues, he became the most loving “guy” anybody could want in their family. All he wanted was acceptance, security, and loads of TLC. Isn’t that what we would all like? My book “Who Said I was up for Adoption?” goes into great detail about the adjustments that both him and I had to make… and all profits from book sales are being directed to the Oakville & Milton Humane Society. Rescue dogs can be incredible additions to ones life but, just like any dog, they will require work, patience, and possibly professional guidance, but the end result is priceless. So originally from Peterborough, eh! Me, I was born in Acton, London but was living near Totnes in Devon before coming to Oregon by way of Mexico and Arizona. Anyway, would love to read your book. Did you fancy exchanging books for free in return for each doing a review of the other’s book? They make the most precious, loving dogs one could ever want, as you know so well yourself. Hi Paul. Will email you. Colin . Hi Paul. Please, please write forever on dogs and what we learn from them! We adopted our black Lab, Sabrina, 8 years ago and she has become my certified “medical assist.” I suffer acute intestinal problems due to taking a steering wheel into my gut in a car wreck and my surgeon has “re-plumbed” my innards twice. Sabrina mitigates my frequent acute intestinal cramping and discomfort with her companionship and calm demeanor. A story for the presses: I was working as a temp in Cambridge, MA in April and when “asking” if I could have Sabrina accompany me on the job, the HR Director flatly told me no. I ended up walking out of the job—not one Boston media outlet would pick up my story, I wrote a 1,000 word essay, depicting the whole thing—I’m still sending the piece out and waiting for the company to be exposed in some way. What’s wrong with people? The mean-spiritedness? At any rate, Sabrina helps me so much and in return, she lives a wonderful life with us, her former life of being abandoned long forgotten. Late to my desk today and your response was the first thing I read. What a beautiful reply from you. Thank you so much. I really hope to read more from you in this place over the coming weeks! Fingers crossed!